I decided that I like the idea of using the My TBR List meme each month to help me decide which books to read for my 2016 Reading Assignment. It was about this time last year that I started having trouble deciding which book to pick from my quickly dwindling pre-chosen list of books for this reading challenge. It also didn't help that a lot of books I thought I would read at the beginning of the year became books that I either dreaded reading or lost interest in as the year progressed. Anyway, this time around, as stated, is the August Reading Assignment edition of My TBRL. I've chosen three books from my 2016 Reading Assignment list (three different kinds of books from three different genres), and as an added bonus, these are also all books that will qualify for my Mount TBR Reading Challenge as well. So I'm kind of killing two birds with one stone here since one of my biggest ongoing goals is to read books that I already own, whether digitally or physically. This time around, all of these books are in my library as e-books. Thank you to everyone in advance for voting! Thanks for voting! I'm also looking forward to reading this book. PI stories are one of my favorites types in the crime thriller genre, and I love Laura Griffin! I also voted for Crash and Burn, although it wasn't an easy choice to make. I am really curious about this one though. I hope you enjoy whichever one wins! have a great week! Thanks! I'm looking forward to seeing how Brennan and Griffin handle co-authoring this book. 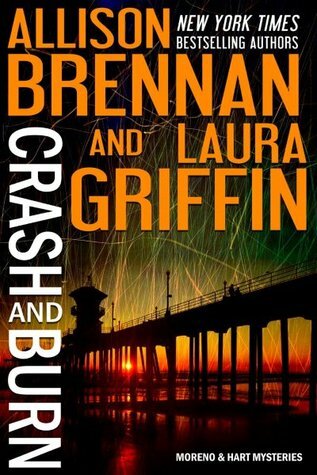 I've only read one book by Allison Brennan, but I've pretty much read everything by Laura Griffin. Not my cup of tea, but I voted for Endsinger. I'd like to finish Endsinger, and while I didn't really enjoy the second book, Kinslayer, I DID like the first book, Stormdancer, so I'm going to cross my fingers and hope that the conclusion is satisfactory. I liked the way My Lady My Lord sounded. Enjoy the winner! I read a review once that got me interested in My Lady, My Lord; and since I'm on a sort of historical kick, I'd like to see how this one turns out as just a straight forward historical romance, since I've been reading historical mysteries. Thanks for voting! I voted for Endsinger as I like the cover for that one and as it is book 3 I am assuming you enjoyed the first two books in the series. It sounds like an interesting series. I loved the first book, Stormdancer, a lot, so I proceeded to purchase the last two books when they were available. But the second book, Kinslayer, ended up being a hot mess of YA cliches and tropes and uncontrolled chaos. 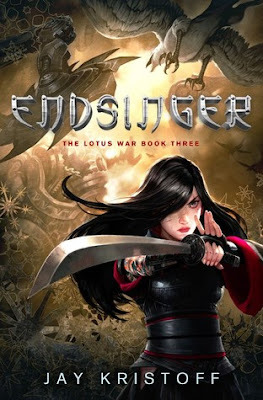 I'm crossing my fingers and hoping that Endsinger will be a satisfactory ending, because when it comes to trilogies, I really don't like leaving a series hanging when I've just got one book left. And yes, the covers for this series are amazing! Thanks for voting! 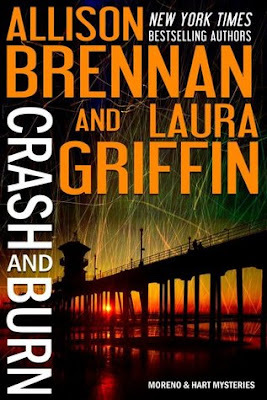 I voted for Crash and Burn because it sounded so interesting! I hope you enjoy whichever one wins!